Cathy Dionne checks Ben's communication book where he writes about his day. She uses the book to ask him questions about his day when she arrives home. Hundreds of Maine children with developmental disabilities are on a wait list to receive support services in their home. These services help kids learn independent skills so that they can function in daily life. But the wait can be so long, sometimes extending years, that some families say their kids regress to the point where they have to be placed in residential group homes. Critics say this lack of support during critical childhood years sets kids up for a life of dependency. Each day when Cathy Dionne returns home from work, her son Ben is sitting with his iPad in their living room. Ben is 24 and has autism. He's nonverbal, so he uses the iPad to communicate. Ben is not only able to work a few hours a week at Paris Farmers Union filling bags of birdseed, he's able to be on his own for a few hours each day after he gets dropped off from a day program. Achieving this kind of independence, says Dionne, was a painstaking process. "Everything that we've taught Ben, it's not just – going to take a couple months,” she says. “It's always years. Seven years to potty train. Six years to tie his shoe. It took a year and half for him to learn to unlock the doors." 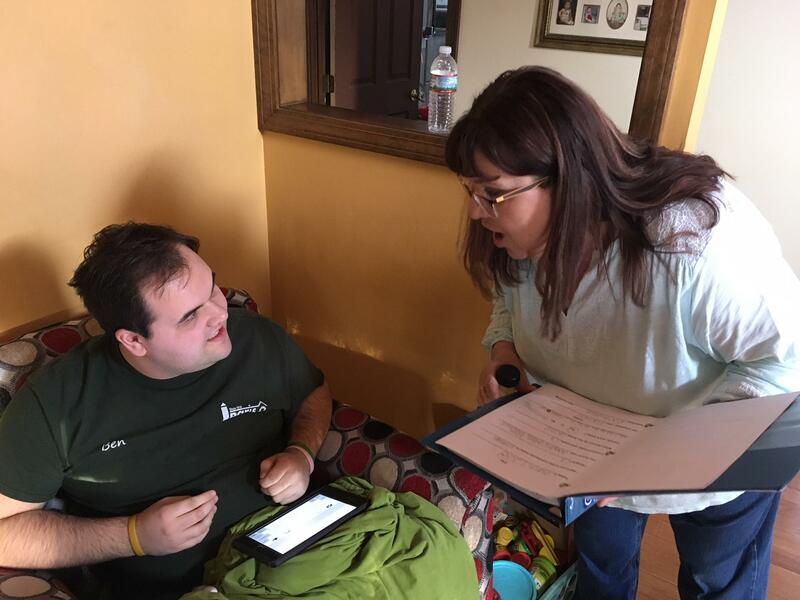 Dionne says Ben was able to learn these skills because of the support he got from in-home services. From the time he was four-years-old until he was 20, a behavioral health worker would spend about 20 hours per week with him. As he approached adulthood, the focus was on helping Ben learn a routine to come home on his own. Each step – opening the outside door, getting his keys from his bag, putting his lunch box on the refrigerator and then settling down in the living room – had to be broken down. "How did we get there? Well, it took years to get there, but it is an amazing thing to watch and see and witness,” Dionne says. But Dionne's experience stands in stark contrast to what many Maine families are experiencing. 12-year-old Hailey Carr has autism, anxiety and obsessive compulsive disorder. Her verbal skills are limited, and she needs help with basic tasks. Her mom, Lindsey Carr, has to keep her eyes on her constantly. Like when Hailey suddenly walks away from her snack of vanilla ice cream. "Now she’s in the bathroom,” her mom says, following Hailey through the house. “We will follow her in because she needs assistance...Just having the presence of someone there helps make sure she does things correctly." Carr and her husband have two other kids and a grandmother to take care of. Carr says for Hailey to develop these life skills, she needs in-home support. "That's my biggest issue right now, the lack of support, and feeling like I can’t do this correctly for her,” Carr says. Hailey is supposed to get in-home services, but she's been on a wait list for essentially three years. During that time, she's received intermittent help. One worker came for three months. Another for four. That last worker left in September. As they wait again, Carr says Hailey is regressing. 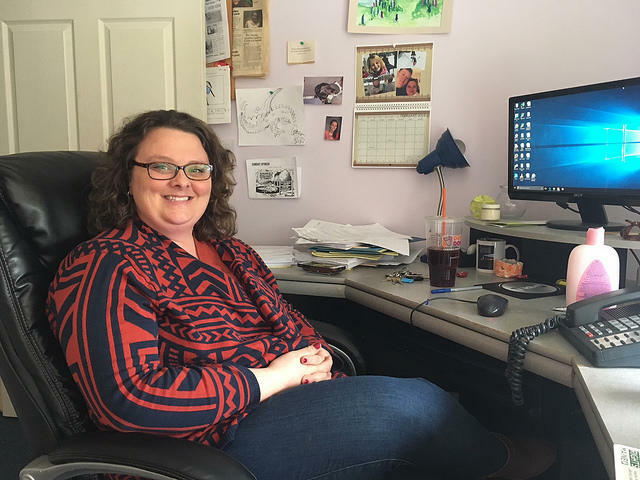 "I spend hours each day talking to families who are in absolute crisis," says Katrina Ringrose, a children's advocate at Disability Rights Maine. Ringrose sifts through a stack of papers – the wait list for kids with developmental disabilities to receive in-home services. There are currently about 300 kids on the list. "You can see there's a youth that’s been waiting 1002 days to receive a service that has been determined medically necessary,” she says. Ringrose says many kids are waiting for 15 to 20 hours of support per week. When they go without, their behavior can deteriorate to the point that some families resort to placing them into a higher level of care at a residential facility. That not only creates a traumatic situation for the family, says Ringrose, it can also have lifelong consequences. "When you move a child at a 24-hour, seven day a week institutional setting at a young age, you're really developing a dependence on the system that is then hard to break as you grow into young adulthood." Lydia Dawson is executive director of Maine Association for Community Service Providers. "Every year that we miss out on providing that support and that early intervention for children is a year you don't get back,” Dawson says. She says the wait list for in-home services has grown by 50 percent over the past year and a half. She thinks much of the problem can be traced to reimbursement rates that have not increased for a decade. Many providers have shut their doors. Those that remain, Dawson says, struggle to provide attractive wages for what can be a very challenging job. "People just aren't willing to do that for minimum wage anymore,” she says. “And that's really all the reimbursement rate will provide for at this point." A bill in the legislature would boost reimbursement rates for these services so that behavioral health workers get a small bump in pay, to just under $13 an hour. Maine's Department of Health and Human Services does not have a position on the bill. A spokesperson said in an email that DHHS is working to address capacity issues and connect children and families to community resources in the interim. But those services have been elusive for the Carrs. 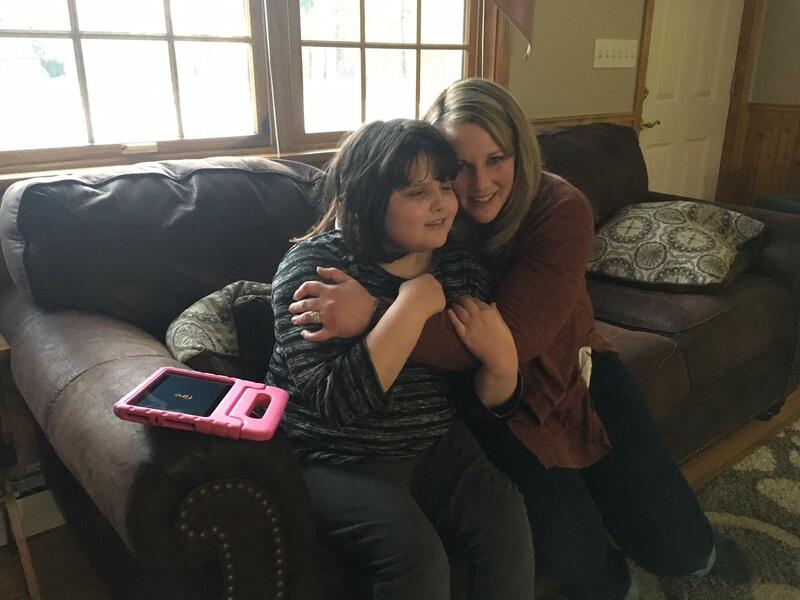 Recently, Lindsey Carr turned to a solution that she never thought she'd have to: she's now trying to place her 12-year old daughter Hailey in residential care.